Paradise is rated 4.1 out of 5 by 20. 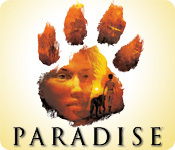 Rated 5 out of 5 by Kinkycatpaper from Paradise I enjoyed this game intensely. for hours!! Rated 5 out of 5 by gamez21_4life from Fun-n-Challenge Awesome game with 3-D graphics, characters to communicate with at different locations and challenging puzzles to solve. This game will keep you on your "toes"
Rated 5 out of 5 by b2u4 from Very Different And Why I liked it. 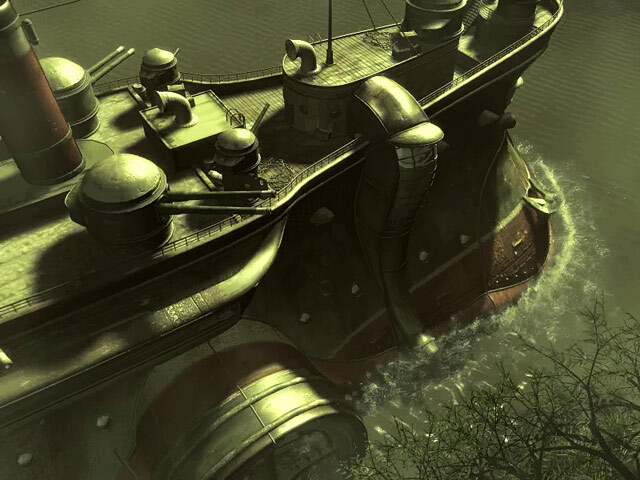 No, not as good as Syberia - but I didn't like that one at first - yet ended up really loving it. There were some glitches but nothing I couldn't get past. And often I was clicking in the wrong place wondering why it wasn't working - so I checked the walkthrough & found out my problem. Yes I printed out a walkthrough, even checked a couple elsewhere online just to get a better idea at times. Yes you really do need the walkthrough and YES you need to SAVE OFTEN. Sometimes I just had to go back to the previous saved to get something right - but since I had already completed most of it, it wasn't so bad. AND WHY you MUST SAVE OFTEN. I can't say it enough. If you have to go back, you don't want to go back very far. As for the audio, I don't usually listen therefore was very disappointed that whenever Rodon was talking, there was nothing in writing at the bottom like all the other talking had. Also my cursor was slow and bugged me But I enjoyed the game & just put up with it. And I wasn't thrilled with the ending but that's life. 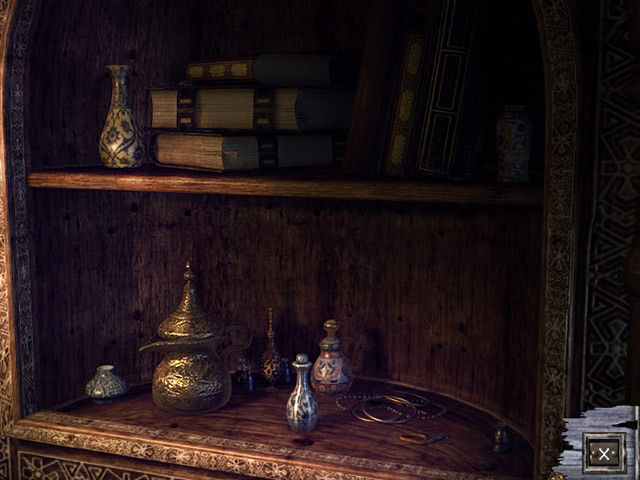 A very nice change from the other 'hidden object' games that I am getting tired of. Rated 5 out of 5 by heydiddlediddle from very interesting intriguing story line. very long. a bit glitchy and the strange hand motions done by some of the characters was somewhat disconcerting. thank goodness for walkthroughs and hints. I used them pretty freely when I got stuck. overall I found it very creative and engaging. Rated 5 out of 5 by Deejaycee522 from Good Adventure Game It took me a long time to get through this game. It was a difficult game to play, but I finally got through it with the help of a walkthrough. It requires a lot of concentration and memory. This is an older game, which I have had for quite some time and finally decided to work with it. There are some challenges that are difficult. The most important thing to do throughout game play is to "hit the Escape key and click on save" then hit "Back" . This puts you back where you were. You need to save your progress frequently so that if you make a mistake, you can "hit the Escape key and hit reload and double click the scene you want. If you do this you won't be upset if you mess up and you won't have to start the game anew. If you need to do an action such as walking up steps and the game won't let you, right click for the inventory, then right click to get out of inventory. You will then be able to walk up the steps. Otherwise, this is a great adventure game with good music and wonderful scenery. Lots to do and the storyline is very interesting. Rated 5 out of 5 by SHELLLS from one of the best. I wish I could find other games as hard as this one, but so far I have been unable to do so .I do love a challenge. If you like to play games without help, this game is for you. If you get flustered and upset becauce you have no idea where to go, or what to do, it's not for you. The graghics are fantanstic. It is not a HO game by no means. So far the best game I ever played, it's a long game, very long. Also other reviewers stated the had some problems, I had none what so ever. Rated 5 out of 5 by Lao_Zi from Let's hear it for Benoit Sokal! Yes, yes, yes, I like the artwork of Benoit Sokal, and I like his stories, such as the Inspector Canardo series. Together with Enki Bilal, he is one of my most favourite graphic artists. 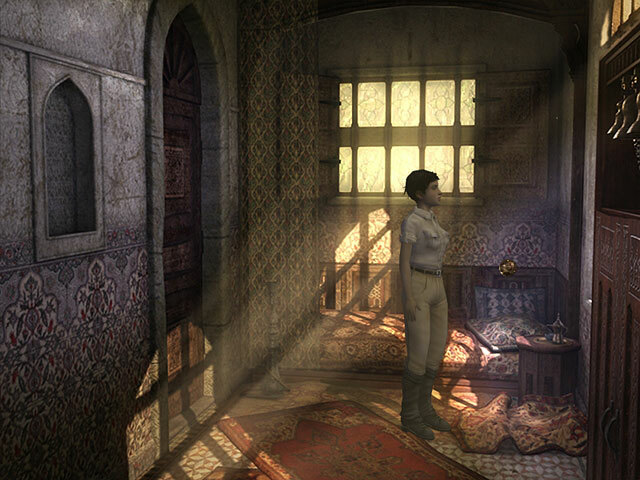 I am simply wild about Syberia and I love Amerzone - albeit a bit too short to my liking - and Paradise follows suit. I played and replayed the game a number of times, and I can't get enough of it. So, instead of getting ecstatic about the graphics, the storyline, the challenges - which I could easily do - I advise you to get into the skin of Ann Smith and start to explore Paradise, a most gratifying experience. Rated 5 out of 5 by hzwife4evr from EXCEPTIONAL! From the same creator as the Syberia series and the Amerzone game series, this game is exceptional! Attention to detail at it's best!! Super graphics, engaging characters, suspense, mystery, this game has it all. A must for adventure lovers. After her plane crashes, Ann Smith wakes up safe, but is unable to remember anything. Help her find her identity!